Perfect for marking wet or oiled wood. 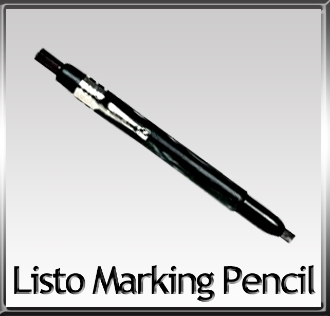 Also If you want to write on glossy surfaces, the CRL Listo Mechanical Pencil is a great choice. Used to mark glass, metal or plastic, it's smooth plastic point won't scratch. A heavy-duty pocket clip holds it securely in your pocket, tool belt, cutter pouch, etc. Order 5 pencils for discount.